One of the most important ways you can increase your trust is by adding badges on your site in relevant locations. If placed in a professional way and not over-done, badges can be a huge booster for web and online trust. When visitors see your website you need to answer their questions before they ask themselves all the “what if’s”.If someone is visiting a website and business they’ve never heard of before, you might consider adding “Verified Business” trust badges by a trust badge provider seen in the image below. Some are affordable while others are not so affordable. Careful consideration with placement and badge selection can help increase your odds of being successful with trust badges. A Verified Business badge, for example, can help people know that you’re backed by another company. This helps remove the option for your visitors to question your legitimacy. If you combine this with other logos and marks, it can increase your trust even more. We’ll talk about these other marks/graphics that can be used as we move on. 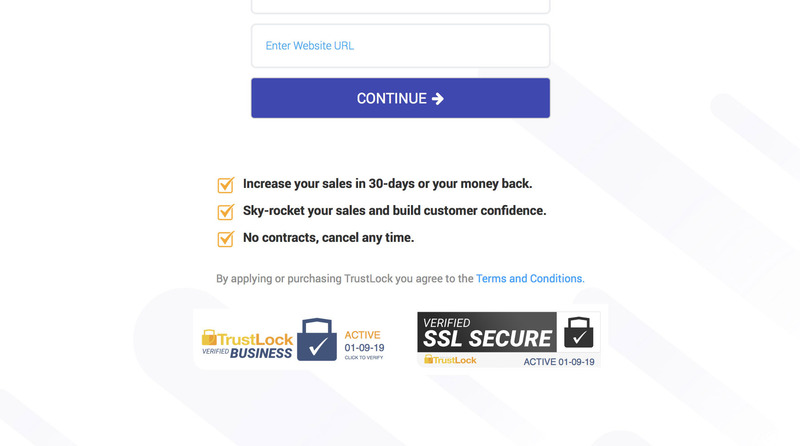 Some affordable and effective trust badges: TrustLock.co, The Better Business Bureau. You can also learn more about the best trust badges on MonetizePros.com: Best Trust Badges. 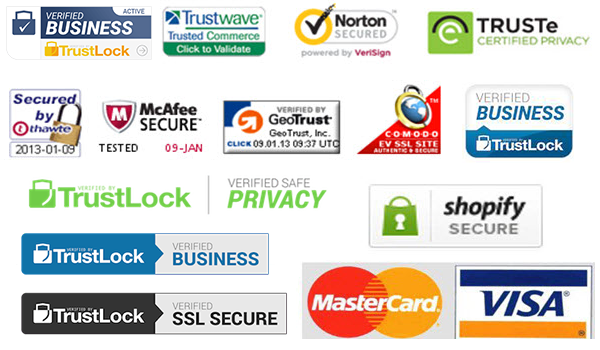 There are also other types of trust badges including SSL SECURE badges that verify you SSL certificate. These can be used next to credit card entries to help peoplf feel less hesitant to enter personal information. We suggest using a verified business badge combined with an SSL verified badge in your footer and on select checkout pages. Another technique that you should use in combination with trust badges and seals as described in part #1, is to include statements of trust throughout your site. When you place these next to trust badges, you can help increase the chances of your visitors believing your statements. For example in the image below, you can see the text “Trusted by 10,000 businesses” and the text “Featured by TheNextWeb.com” these statements help increase trust. When they are placed next to other company verification/trust badges like seen in the image placed next to TrustLock.co’s badges, it helps to compound the overall effectiveness. 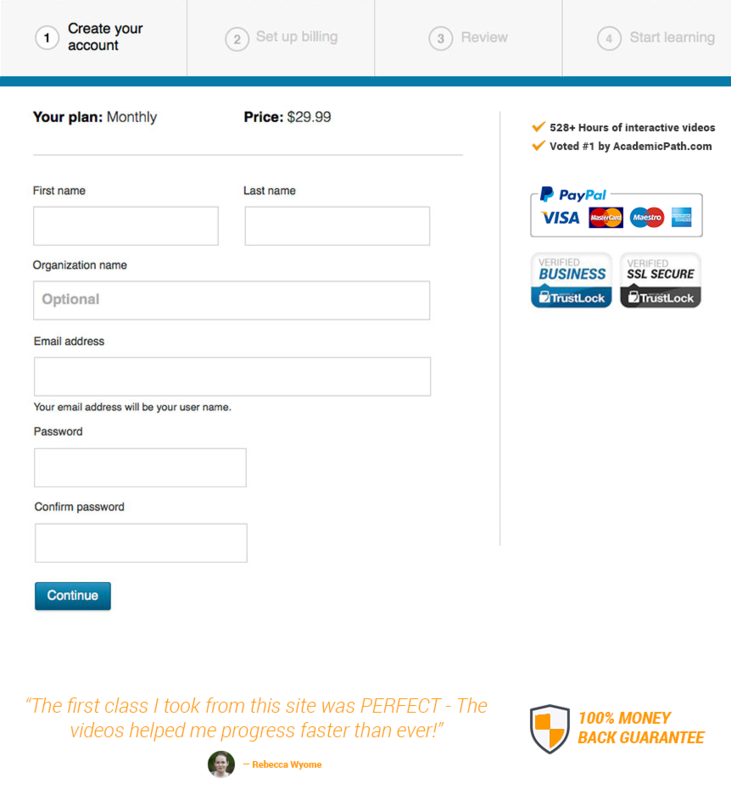 Some businesses even create badges or emblem graphics that advertise the features and reason why you should choose them.An example can be seen below in the badge that says “60 Day Money Back Guarantee” and then this is combined with other rhetorical reasoning and TrustLock badge to bring the visitor into the full trust of your website/company/business. Using client logos on your site can also be a sign that you are trusted by other real businesses. 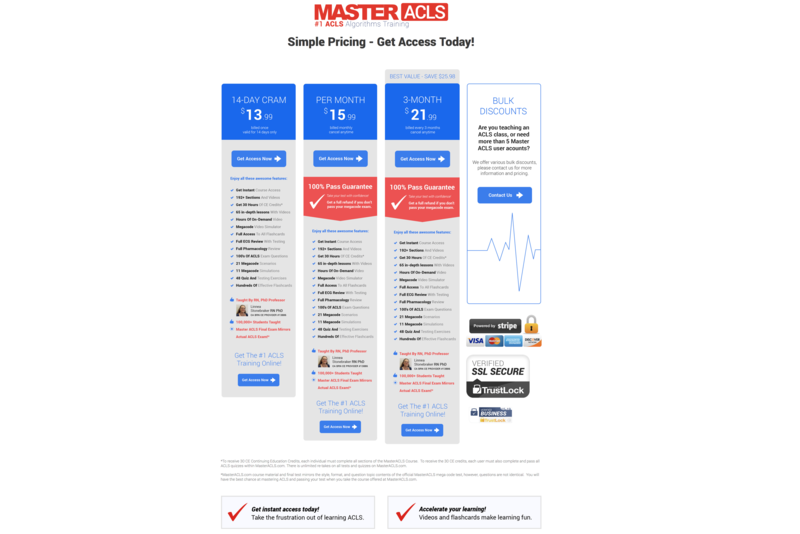 This is another technique that can help your visitors trust who you are. It’s similar to social proof, but we’ll get to that later on in this article. It’s simple, and can also be combined with testimonials for the best effect.Some service related businesses also have used a technique where they show logos of platforms where their service is working on in the real world. This is a great way to make your business look very authoritative and increase your level of trust from a visitor’s point of view. This technique for increasing trust cannot be overlooked. All sites that sell anything should include some credit card logos. It creates a more trustworthy appearance and helps psychologically make people feel more comfortable. Most people might see these logos 5-10X times a day if they go shopping locally or online. When you show these recognizable logos, it helps people feel that you can be trusted – they recognize and trust these companies that are being used every day around the world.When you. combine these logos with other trust badges and testimonials, it can really help increase sales and trust at the same time. Anything that can let your visitors know that others are either using or buying your product or service can help people feel like they’re going along with the crowd – this increases trust and psychologically helps people buy more! 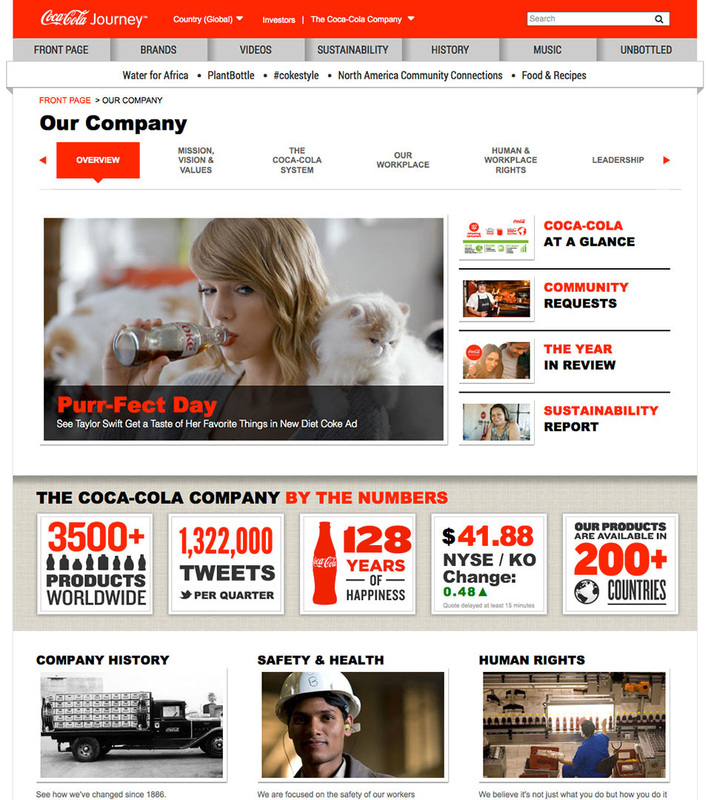 Having a good about us page can help others feel more comfortable with you and your company. It’s important to be honest and friendly in this section. Including your face and other people in your company can help you give off a professional appearance which increases trust. Using stock images also on this page or any page for that matter is a bad idea unless it gives a personable and professional example. It’s great to look at competitors in your niche who are winning and take notes. You don’t have to copy your competitor, but taking notes and making sure your About Us page is perfected is an excellent way to gain your visitor’s trust. If you are hiding your face, hiding relevant information that your competitors readily show as public info, this can be a warning sign to people who are researching you vs. your competitor. It’s important to be transparent and open to your visitors. This lets them know you are real and you are who you say you are. Linking to your social networks also can help give off a more legitimate and friendly vibe. This all can help to increase the trust of visitors on your website. If your site doesn’t look ‘perfect’ you’ve got a problem! Each design issue that your visitor sees is another moment they might have to question your legitimacy. Anytime they wonder why something looks weird, it erodes the trust in your website. That’s why it’s so important to take a good hard look at your site and even compare it to other sites who are successful and ask yourself “does this site look like a multi-million dollar, successful company?” If the answer is now, then you need to get back to work. If you answer is yes, then ask some friends and make sure you KNOW without a shadow of a doubt that your design is perfect! The last and most important technique to improve trust is zooming out and taking a look at your overall website. Take this and compare it side-by-side to your competitor’s site who is most successful in your niche and ask yourself and others “Is this site better than my competitor?” It’s important to take a good hard look and don’t feel married to your design. You can always change it, and sometimes your idea of what is ‘perfect’ might not be what everyone thinks is ‘perfect’. This is why it’s a good idea to get valuable feedback from existing customers and your friends or family who are willing to break the good hard truth to you! We hope you enjoyed these tips on Riviton.com. If you’d like to help your friends increase trust in their websites, please share!